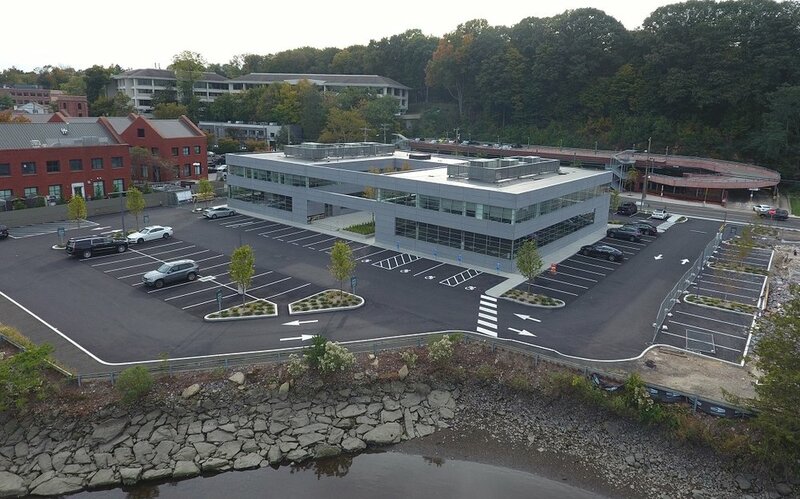 Bankside at National Hall is Westport’s premier new office and residential development, located directly on the Saugatuck River. The project offers spectacular river and downtown views, and is a short walk from downtown Westport’s restaurants, shops, and amenities. It is also a short drive to the Merritt Parkway, I-95, and the Metro North train station. The property is being redeveloped in two phases. Phase I, completed in July 2018, encompasses a comprehensive renovation of the southern portion of the original building. Designed by Roger Ferris + Partners, the result is a 26,200 SF two-story Class “A” office building. Phase II, the luxury residential portion, is currently raw land and is under development. For more information about office leasing, please contact Steve Baker or Adam Klimek with Cushman & Wakefield.